Designed for sensitive skin, loved by all skin types. 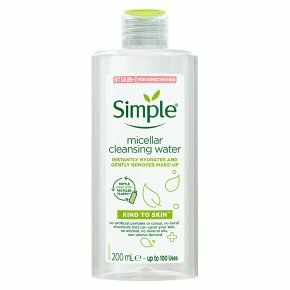 For naturally healthy looking skin.. Our Micellar Water is a perfect blend of multi-vitamins and skin-loving ingredients to gently cleanse the skin while removing make-up. The non-rinse cleanser leaves skin feeling clean & hydrated. For best results... Step 1. Apply a generous amount to a cotton pad. Step 2. Wipe the cotton pad all around the face, no need to rub the skin. Step 3. Gently wipe around closed eyes, avoid getting into your eyes, no need to rinse after!